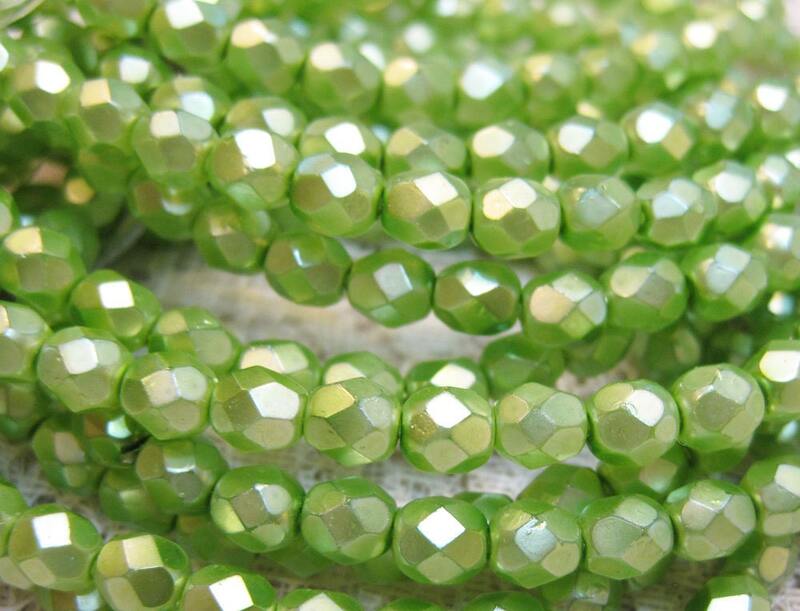 30 Matte Pearl Pistachio Green Czech Glass Fire polished Crystal Beads 6mm. Add some sparkle to your jewelry creations! Thank you, what I was needing. Love them! Great seller, fast shipping! Fast shipping. Great packaging! Thanks for your attention to detail. Love the color! Thanks so much!